Donations are vouchers that you give away for free to a charity or donation. 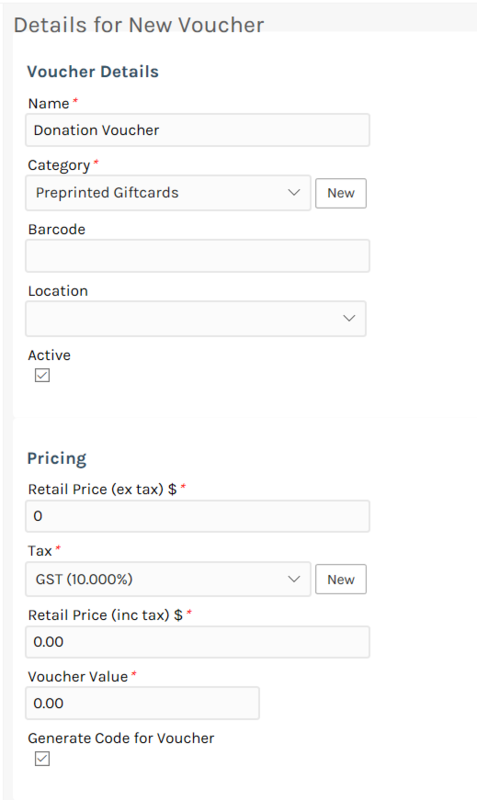 A donation voucher must be configured with a price of zero. 4. Enter a name "Donation Voucher" or another similar name that is appropriate to you. Leave the price as zero and leave the value as zero. You can enter the value of the voucher when you donate them. 5. Click Save. Your Donation Voucher is now ready to give away. 2. Click the Add Product button and search for the Donation Voucher using the Brand and Product search fields on the Add Product section. 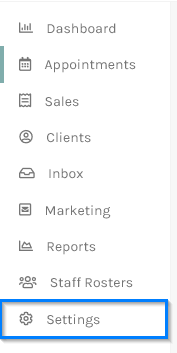 Make sure to leave all the prices as zero when adding. 3. If you are donating multiple voucher add the remaining vouchers using Add Product until you have added them all to the sale. What this means is if you are donating 5 vouchers you will have 5 line items in the sale. 4. 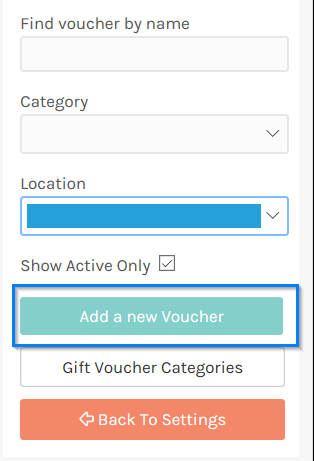 When you have added all the vouchers click Complete Sale, the amount due will be zero unless you added another product to sell as part of the sale. Click the Complete Payment button. 5. A popup will appear with the details for each voucher. 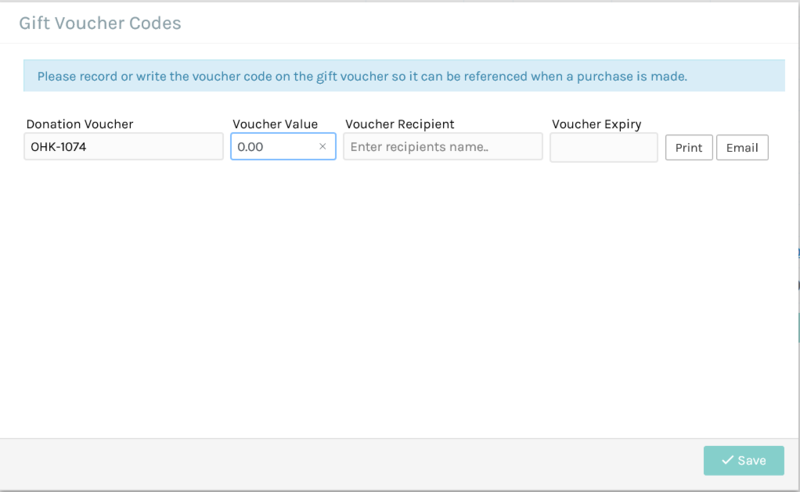 In here you can enter the value for each of the vouchers you are donating. Click Save and the vouchers will be generated and ready to go. That is all you need to do, the vouchers are now ready to donate and can be redeemed like any normal voucher.